Tanner Farmer has never been a "team leader," his words, but he made a heckuva case to fill that role for Nebraska this season during the Huskers' fall-camp-kickoff press conference on Thursday. "In high school I wasn't voted the captain my senior year, and I wasn't voted a captain last year on this team," Farmer said. "I've had to learn how to be a leader, what it truly means. Not only on the field, not only in the weight room, but the extra stuff." It all sounded like the words of a future captain, but how the Huskers will handle captains this season has yet to be determined. "I want to make sure that the guys that are representing us on the field before the game are guys that have earned it and deserved it," Scott Frost said. "We'll see how many we have before Game 1. Our m.o. in Florida was to have a leadership council and rotate guys that were captains for games off that leadership council. "That's not how it's been done here and I'm going to be really careful not to break too many traditions. As the first game comes up we'll make a decision how we'll approach it." 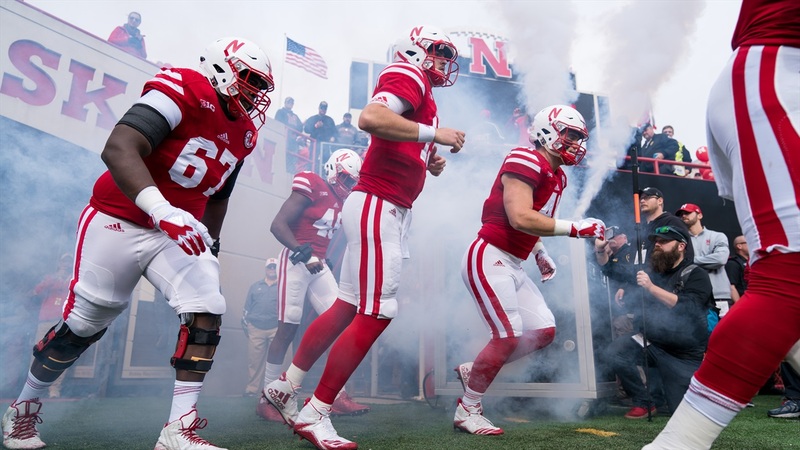 Last season the Huskers named five captains for the season in late August based on a team vote. The group included three Nebraskans –– Jerald Foster, Luke McNitt and Chris Weber –– as well as safety Joshua Kalu and quarterback Tanner Lee, who had yet to play a game for Nebraska. Foster is the only returning captain in 2018, but don't be surprised if his fellow lineman Farmer, who has worked at center and guard this offseason, is in the running when the Huskers' staff decides how it will decide on captains. "Always being there for your teammates, that's what it means to be a leader," Farmer said. "And I've had to learn that and I'm really appreciative that I've had the opportunity to learn that."